My Email address if you have any questions. Thanks for visiting me here. I appreciate you taking the time. Here are some pictures of my birds. Aki is my Timneh African Grey Parrot and Hiro is my Greenwing Macaw. Both are babies and have sweet dispositions and even temperaments. Of course they have their moments but then don't we all. This of course is Aki. 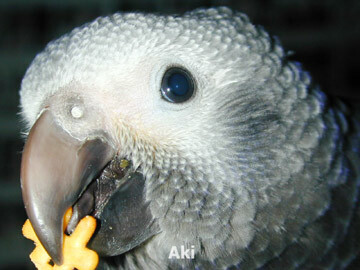 Aki is a Timneh African Grey Parrot. He has been sexed and is a boy. His disposition is one of watchful inquisitiveness, a lack of meanness but a aversion to being touched on his back. 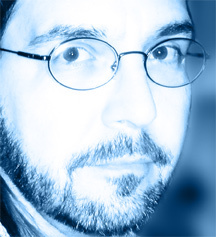 He can indeed speak and minic various sounds that are to be heard around in his environment. He says hello, hello, hello. He makes all the sounds of the microwave. He mumbles words and sounds like he is cussing. Sounds like Popeye at times when he is doing this form of vocalization. He makes clicking sounds, whistle sounds and he does a very good Cardinal, Starling and Blackbird imitation. He takes up the sounds emitted from his brother and otherwise ignored roommate (not cagemate) the Greenwing Hiro. So various moans, sighs, cries, chuckles and laughs come from him. They both laugh like me. Appparently I laugh quite a lot as they do as well. His voice is smaller than Hiro's voice which is good so I can tell who is saying what. 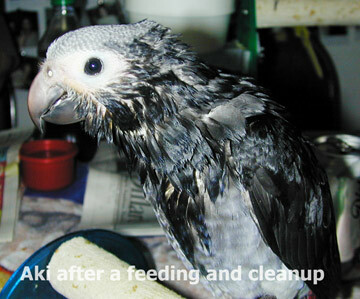 Here is Aki after being fed his baby food and being cleaned up. This is Hiro. 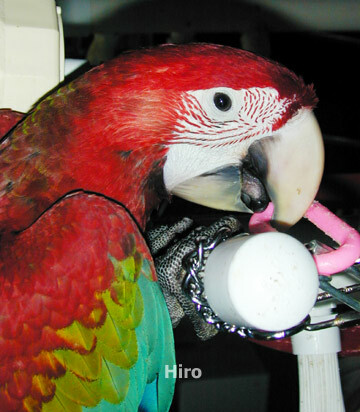 Hiro is a Greenwing Macaw and pictures from when he was a baby. Hiro is a Japanese name and if a boy he will be Hiroki and if a girl she will be Hiroko. In this picture he is waiting to get his baby food. Here Hiro is playing on his play stand. He speaks fairly clearly. He will say hello and bye bye. He'll cry like a dog, he'll say 'I want out' 'Hiro wants out' 'out please' and 'HI!' He also laughs in a number of different ways like I laugh. Caique Mailing List Photos Here. I've noticed that I get a number of hits from people who are looking for information about the African Timneh and for the Greenwing Macaw. The pictures you see to the side are from when my two boys were weaning. They've been home quite a while now and I can tell you what to expect from these sorts of birds, what to feed them, their personalities (your mileage may vary), and any other thing I can remember that you might need to know if considering either bird or if you are just curious. Diet for Timneh African Grey. Aki is a very finiky eater. He is offered a variety of foods to include small parrot mix with a good deal of saffron seed and rolled oats. 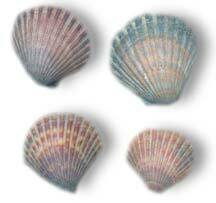 Those happen to be his favorite foods if you can believe the shell husks that are left behind. For fresh food I have been successful in giving him frozen vegetables such as field peas, black eyed peas, corn and peas. He'll occasionally eat these things depending on how he feels. He'll also occasionally eat noodles or rice. Now you can provide a great variety of noodles from cheap ramen noodles to elbow noodles or any other type. I feed him these noodles plain cooked and warm. I'll also feed him noodles or pasta as I would eat them, with pesto sauce on them or any other sort of sauce. Same with the rice. He enjoys warm foods whenever possible. Taking a graham cracker and mushing it down with hot water is greedily taken by Aki. Aki will also graciously take an animal cracker, a butter cookie, a goldfish snack, pretzels, varous cereals and various snack foods. Baby food is also loved and that goes back to the weaning foods. 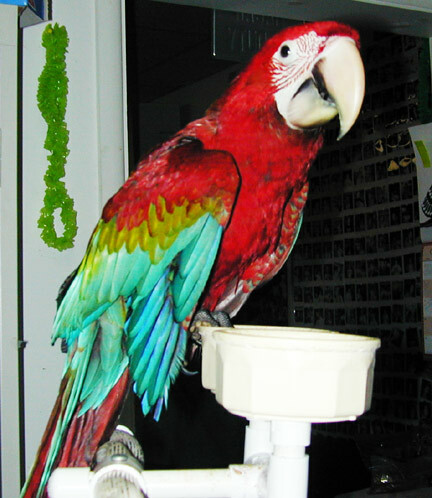 Hiro, my Greenwing Macaw is a garbage disposal. He will eat anything and everything you provide for him. If you get him used to sweet grapes he'll frown on less sweet grapes but that is all the discerning food he'll take note of. Let's see. Hiro eats whatever I am eating for dinner. If it's beans, he eats beans. If it's pasta he's eating pasta. He very much loves homemade chicken noodle soup. Fresh noodles, bits of chicken, potatoes, he will become as quiet as a church mouse when eating this and nothing will hit the ground. He's also partial to Alfredo Noodles. He'll eat Tofu, grapes, nuts of any type, cookies, snack foods, salads, hamburger, chicken, fish, fruits, -in short he eat everything. Oh yes, to include large parrot seed mix.